Stunshock wrote: These doffs im assigning to the starbase projects, I am getting them back when the project ends, right? Or are they lost forever? As I've just noticed my crew is half gone. Or have I just accidentally reassigned most of my crew? As far as I know (and I may be wrong) anything we donate to the Starbase is gone from us for good. On the plus side Both Leonov and Keth, being level 50, seldom do DoFF Assignments anymore... just for the little bit of dil now and then and the occasional special project so I haven't really lost much. I can always go purchase another DoFF pack if I get to missing 'em. Pretty sure you can only donate "white" or common doffs and you can go to Star Fleet Academy every other day or so to recruit from the personnel officer. Seriously, though, would be grand to see The Reavers and The Firefly fleet standing tall together! The Reavers are Firefly fleet! The Reavers were formed to be the Klingon side of this fleet. 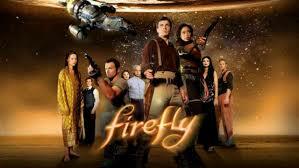 So take heart the Reavers and Firefly fleet do indeed stand not only tall together, but together as one! Oh I wasn't worried, I was just curious if I needed to start a mass recruitment drive. I just accidentally reassigned half my crew to the starbase. And your crew does a fine job, Stunshock! The decks has never been shinyer! That's a little sticker put on there so the tea lady doesn't keep falling out. The following was actually seen as a printed warning on the engine of a British bomber from WWII... "If this engine catches fire don't just stand there waving your arms about. Try putting the bloody thing out as well!" what are we going to do about the purple systems officer? I bought the other 2 with fleet EC, but that one was almost as much as the other 2 combined so i did not, its the only thing hold that project back, do we do a bank clean and start trying to raise funds for the purple officer or dose some one have a better idea? 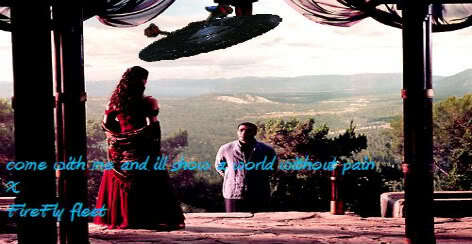 Seeker wrote: what are we going to do about the purple systems officer? What sort of purple officer is needed and how much do they cost? Seeker: What are we going to do about the purple systems officer? Go ahead and clean the bank out. Then post how much we need to raise and we will get on it. its a purple system duty officer, and when i looked before the cheapest one was 6,666,666 EC, that may of changed I'll try to do a bank cleaning tomorrow night bring up our EC and get unneeded stuff out. Okay I got it, it required me completly cleaning out the bank off pretty much everything. Than taking all the money and adding some of my own. But the officer was purchased and the project is now underway. So I'm getting all these messages about Tribbles on Serenity station, but all I can find is the trader in the bar with a couple on the bar. Has someone gone around and cleaned them all up before I got there? Or is there a hoard of them lurking somewhere? For that matter, where is this Engineering officer we supposadly stationed here a while back? Stunshock wrote: So I'm getting all these messages about Tribbles on Serenity station, but all I can find is the trader in the bar with a couple on the bar. Has someone gone around and cleaned them all up before I got there? Or is there a hoard of them lurking somewhere? Tribble?? On Serenity station?? In the name of the Goddess DON'T let them find their way to engineering... if they manage to get in to Jayne's still we'll have a station full of drunk tribbles!! How does one receive permit ions to purchase items from the fleet starbase? Also I would like premonitions to purchase items from the fleet starbase. some one might of cleaned them up when i was on thier was lots of tribles but you talk to the gu and he will clean them up if we talk to him agin he might let them loose but do we really want thousands of tibbibals on the station? To buy stuff from the station you need Fleet Credits. These are earned by adding to fleet projects. Some fleet products require dilithium plus Fleet Credits. For certian ships you wll need to buy Fleet modules from the C-store..Or the Zen store, plus Fleet Credits. The tribbles when they haven't been cleaned up are great! You can actually kick them around the station! Yesterday I set up the ramp to the armory as a goal post and delighted in kicking them into my makeshift goal. If we can get enough of us together we can have the first ever Tribble soccer league! Lastline wrote: To buy stuff from the station you need Fleet Credits. These are earned by adding to fleet projects. Some fleet products require dilithium plus Fleet Credits. For certian ships you wll need to buy Fleet modules from the C-store..Or the Zen store, plus Fleet Credits.